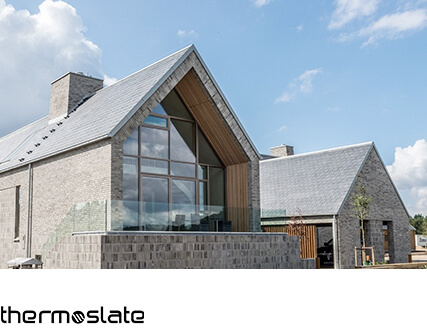 Slate is a 100% natural product that is only submitted to extraction and shaping processes. It requires no additional treatment, make it the sustainable alternative for any project. See for yourself our production process in this video. The exploitation process commences once the geological, mineral and geotechnical surveys have been concluded, in addition to the prospection work and sample testing to determine the quality of the slate and the potential reserves of the deposit. There are two exploitation systems: open quarries and underground mines. Regular surveys and trials are conducted throughout the life of the exploitation with the aim of preparing the quarry for the future and to guarantee a continuous and steady production of high-quality slate. Extraction of the product commences after conducting the disassembly operations. The slate is extracted in large blocks cut with a diamond blade. The blocks are then transported by truck to the quarry processing plant. Water is used as a coolant and base material for removing rubble throughout the process involving the extraction and processing of the product. This water is recycled and purified in a closed circuit to prevent such a precious resource from being wasted. – Sawing: The large blocks of slate extracted from the quarry are sawn into different sizes in accordance with the size of the slate to be produced. – Shaping:Then, workers cut each block into sheets, treating each item with meticulous care, all of which is done by hand. 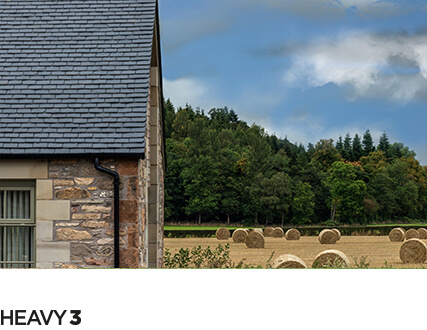 The water ensures the blocks do not dry, facilitating exfoliation and reducing loss. 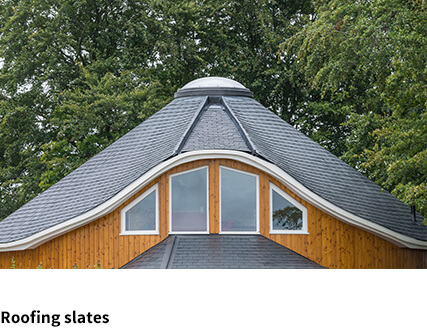 – Bevelling: Finally, the corners of each item are bevelled in order to facilitate the passage of water over the slate once in place on the roof. After classification the slates are counted and packaged on wooden pallets for storage and subsequent delivery. A label is placed on each pallet with a description of the slate (quarry and plant of origin, format, thickness, etc. ); in addition to the name of the person in charge of selection. On the same day the pallets are packaged they are sent to CUPA PIZARRAS’s central warehouse where they are given another label with a bar code to guarantee the traceability of each item from the place of origin to the final destination. 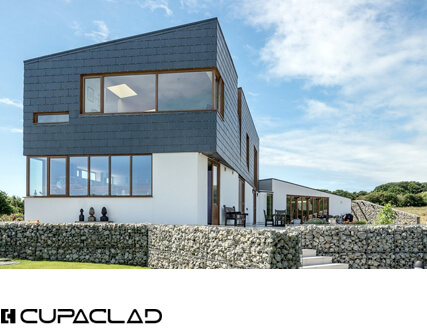 The preparation of the natural slate comprises exclusively mechanical processes, reason for which no chemical waste whatsoever is generated. The waste disposed of at the dump is totally natural; it is merely the minerals of no use extracted from the mountain. CUPA PIZARRAS restores the original landscape by means of the hydro-seeding of native plants. The entire process is supervised and approved by the pertinent environmental agencies.